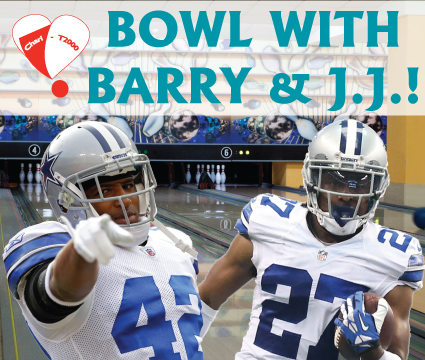 Come bowl to support Chari-T2000 with Dallas Cowboy safeties, Barry Church and J.J. Wilcox! Barry Church, Dallas Cowboy safety, is hosting a bowling event to support Chari-T2000. Barry Church is passionate about supporting kids in need of therapy equipment to help them reach their fullest potential. Barry Church and JJ Wilcox , Dallas Cowboy’s safeties will be bowling for the charity. Pay to play on their team. May the best team win! Two teams of 6 will have one of the Cowboys on their team ($250) to join that team. Want to beat a Cowboy bowling? Then play on another team of 6 for $150 per person. Autographs and pictures are from 9 AM-10AM and 12-1PM. Bowling is 10AM-12PM. Snacks and drinks will be provided for each bowler as well as photo opps and mingling with the two Cowboys. Each bowling ticket is good for one game of bowling at Main Event, Frisco. 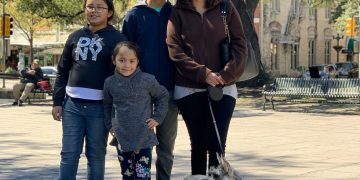 Please, we need your help to make this fundraiser a success! Bowl with a Cowboy! Autographs and pictures also available that day. Bring all Cowboys fans, big and small, for the action! We need your to support! There is something for everyone!